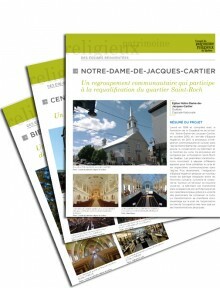 These series of sheets present exemplary projects of heritage churches in Quebec convert to other uses. 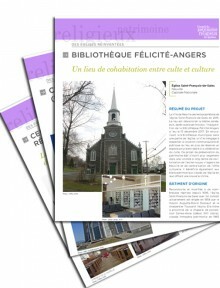 Published by the Québec Religious Heritage Council, they document outstanding cases where the conversion project preserves the recognized heritage value of the building, and has been carried out with the acceptance of the local population. 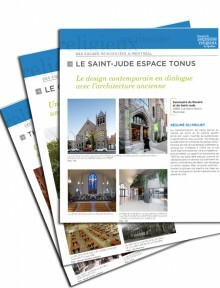 These sheets has been made after an investigation among craftspersons, volunteers, professionals, and managers of these projects.